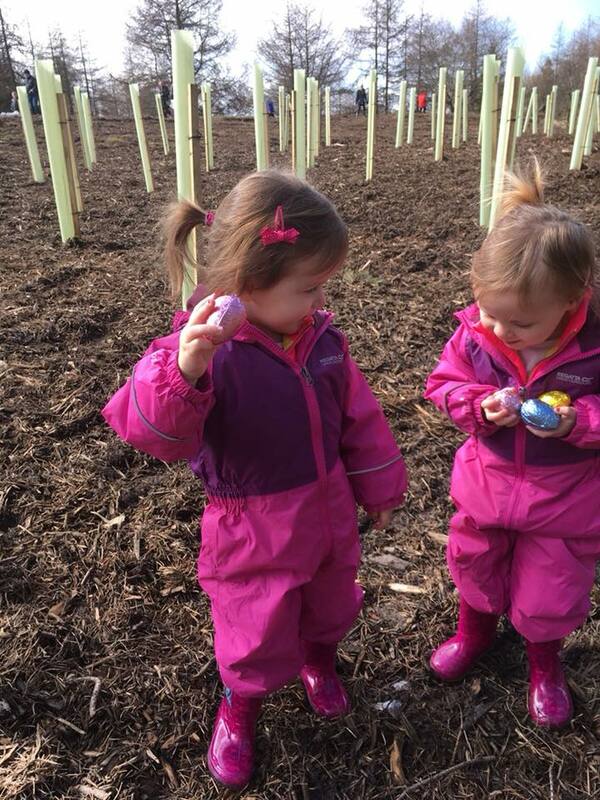 East Kilbride Community Trust hosted an Easter Sunday Family Fun Day at K-Woodlands, College Milton which was attended by over 400 adults and children. 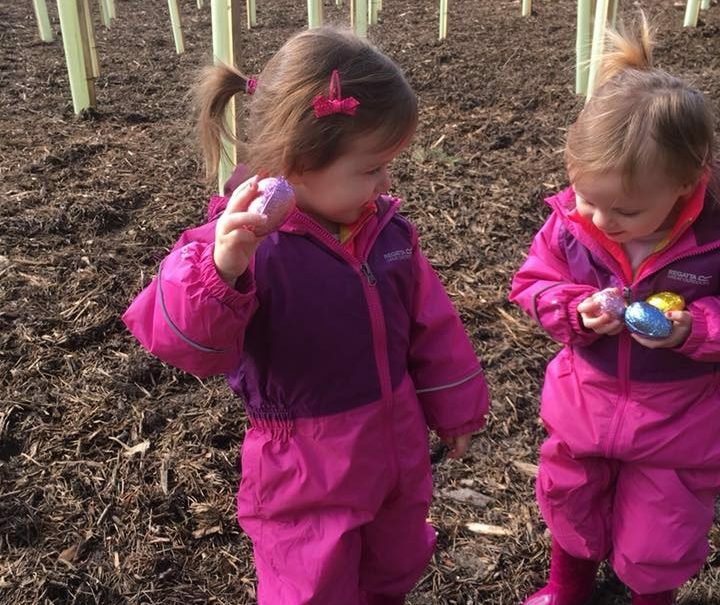 The Free event comprised of an egg hunt, arts and crafts, den building and lots of free play. Sponsored by Robert Campbell of Preston Components and George Lennox of Celsius Cooling, the day was successful in bringing our local community together for such a special celebration. East Kilbride Community Trust brought K-Woodlands into active management in May 2017. Since then it has hosted over 280 Free events for the local community. Easter Sunday saw the first of many bigger family events being held and was blessed with some glorious sunshine. Robert Campbell who was keen to offer his support, told us “To see so many kids having so much fun outdoors was a joy to see, EKCT are creating a great place for the community”, he wished the team good luck with all their future plans. George Lennox was also delighted to be sponsoring the Easter events at K-Woodlands which also included a World Autism Awareness Day on Monday 2nd April which engaged with over 40 local families affected by autism. The feedback from the local community was hugely positive with many vowing to return for future events being held by the Trust including events held at K-Park, Calderglen who have already began their football training camps for the Easter holidays. The Trust’s CEO, Monique McAdams stated “We are enthusiastic about creating many more opportunities for the local community. 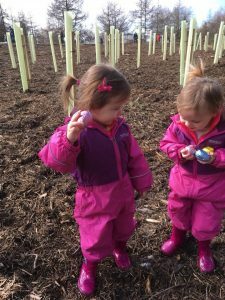 We see great benefits in promoting physical activity such as outdoor learning, natural play, walking, rehabilitation and recovery in this outdoor setting of trees, plants and pathways. We are focused on providing facilities to help all of the community come together for both physical and mental health benefits and look forward to working in partnership with local groups needing support too”. The Project Support Officer, Tracy Wilmot, and Community Engagement Officer, Stephen Porch also wish to thank not only the sponsors but also Martin John of the Co-Op for his continued support, the volunteers from South Lanarkshire College and their regular volunteer team, “We could not offer out this scale of event without the help and support of everyone involved, we are overwhelmed with all the feedback from the families and are so excited about our next event on Sunday 22nd April and all future events”.